We made our first reservations! A safari made it to the top of the bucket list and we started researching safaris about a year ago – talking to friends who’d been on safaris, reading magazine stories, checking out rankings. 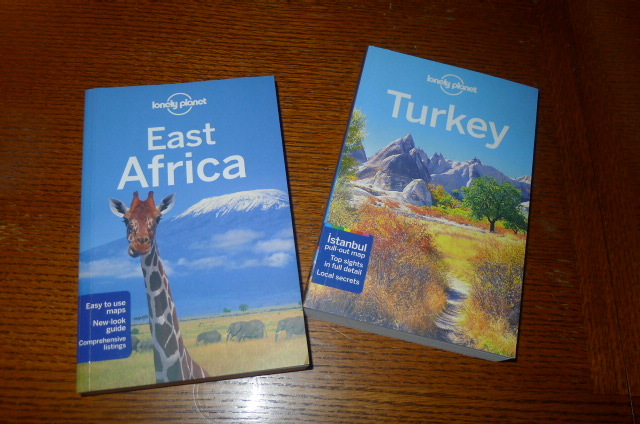 We finally narrowed the list down to one country – Tanzania – and one or two companies. 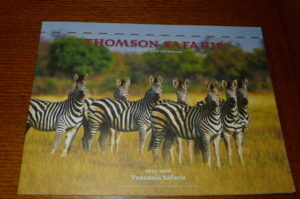 After quite a few conversations and more than a few emails and dozens of questions, we finally decided on Thomson Safaris. (I’m sure Gabriella cringed every time she saw another email from me.) We picked a date and a safari but we knew the decision was REALLY made when we made a reservation and put down a deposit last month. Mark took a few looks at the map and said “Rwanda is the next country over. We need to see the gorillas if we are so close!” More decisions to be made and more research to be done. The gorillas are in Volcanoes National Park along with the Golden Monkeys and permits to go trekking to see the gorillas are limited each day. After going back and forth on dates and availability of permits and hotels, we finally added this experience to our trip – more deposits were made! Now we have a few dates in concrete on the trip itinerary. Deciding to visit Rwanda added one more little task to the “to-do list” – yellow fever vaccine is required to enter Rwanda. Off we went to visit the Larimer County Health Department for a Yellow Fever immunization. I’m happy to report neither one of us had any side effects from the experience! 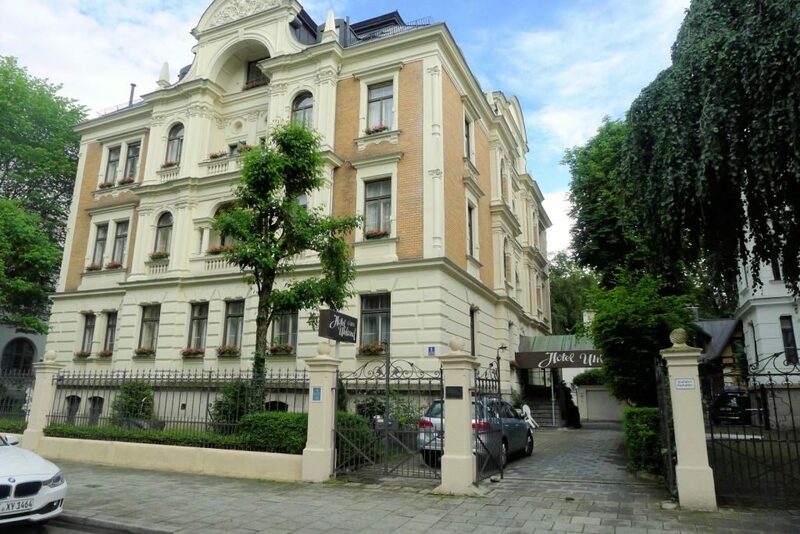 10/5 Update – we made hotel reservations for the Hotel Uhland in Munich for 8 rooms for 16 of us so now we have a place to stay for Oktoberfest. Next task for Oktoberfest is to get reservations for tables in an evening session tent and then buy food vouchers. I’ll be in Germany this summer and may try to get them all then. Last Friday I got an email from SRH in Heidelberg asking if I want to teach a class this coming summer for 5 weeks. I’d like to but this throws a wrench in the plan that’s not set in concrete yet! Since we can only be in the Schengen countries 90 days out of every 180 days, spending 5 weeks in July reduces the number of days we can stay in most of Europe after the Africa trip. Thanks to an amazing calculator I found published by the EU, I figured out we can stay about 7 days after the Africa trip so it’s on to Plan B. Now we’re thinking we can drop off the duffel bags in Heidelberg, pick up our “regular” bag and head off to the UK – maybe stop in for a visit with Darcy and Kelly before we head up to Scotland to see what the whiskey trail looks like. We need to so some research to make sure the distilleries and castles are even open in December but I’m betting we could have a few places pretty much to ourselves! How do we pack for this adventure? After working for LOTS of years and trying out all sorts of travel, we’ve decided we’re too old to do the backpacking route. While we’ll each have a daypack with computers and cameras, we are NOT lugging backpacks along and trying to manipulate them on buses while earning sore backs and shoulders – as much as I like massages! We’ve opted for one suitcase each plus one joint duffel bag for the safari. I can hear everyone say “You’re taking too much.” Here’s the explanation. We can only take a soft bag on the safari and each safari bag has a 15 kilo weight limit. We’ll leave the suitcases with friends in Germany, take the duffel bags (One big and one small) and daypacks on the safari. After the safari we’ll go back to Germany to exchange the duffel bags for the suitcases. We may send things we won’t need back home unless we decide we’ll be back in Germany in the Spring. In that case, we’ll let the duffel bag spend the winter in Germany and reclaim it when we come back through. Of course the packing gets more complicated because Capetown and the Seychelles keep showing up on our destination list after we finish with the safari, meaning we need clothes for there, too. This would be way easier if we could plan our travels so it’s always summer but starting September in Europe nixed that idea! 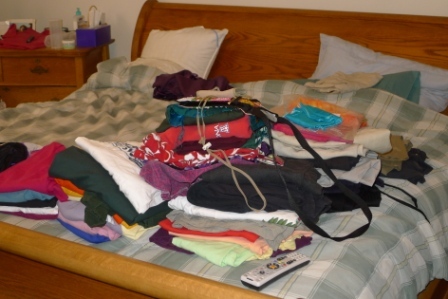 We did eliminate the Winter Olympics in Seoul because taking THAT many winter clothes is just too much! We already have a few dedicated shelves for items we know we’ll need. Stay tuned for the packing adventures. Where are we going on our travels? A few years ago we made a list of places to go and things to see. We kept the list and added to it as we went along and found new places we want to see. About a year ago, we got serious about retirement and started to put dates and seasons next to some of the “bucket list”. When is the Australian Open? When is the high season in the Maldives? The list got longer with more details and we refined it until we ended up with a broad outline of places to go and people to see. It helped to have lots of erasers and red pens nearby! The list evolved into a broad plan for Round the World Travel although we probably will do some some backtracking, we suspect! Oktoberfest in Munich is the start of the trip in 2017 along with friends. We needed to know the exact date for 2017. Simple, right? You must be able to Google that. Not so much! We found several different dates and went to the source for the definitive answer – the Munich Tourism Board! They quickly answered my email with the real dates. Oktoberfest begins on September 19, 2017. The distribution list for folks who “say” they want to come was pretty long but the closer we got to October 2016 and having to make a firm decision, the list began to shrink. Final count – 18 people have committed to meeting in Munich for 5 days of beer tasting, schnitzel, and sausages. Most of us all staying together at the Hotel Uhland, a great little hotel only 2 blocks to the Oktoberfest grounds and near all the rest of the main sites in the city. Everyone is scattering after that – a few cruises, some road trips, a visit with relatives. We’ll spend some time with Mark and Vivian in Italy before they go home to Fort Collins. Then what will we do?? It’s a mystery until we hit the road for Africa.